Intracranial injuries, also known more simply as brain injuries, are a leading cause of injury and death for Elders and Seniors age 65 and over. According to the CDC, twenty to thirty percent of fall victims suffer lacerations, hip fractures, or head traumas that make it hard to live independently. Independent seniors are most likely to suffer a fall in the home environment where situations and factors such as difficulty walking and wet floors can be highly dangerous. Types of brain injuries include cerebral laceration, cerebral contusion, intracranial hemorrhage, and intracerebral hemorrhage. An Elderly or Senior who has suffered a TBI can experience a wide range of post-injury symptoms that include cognitive dysfunction such as memory loss and impaired thought processes, motor impairments such as balance, coordination, and movement difficulty, or emotional/behavioral problems. 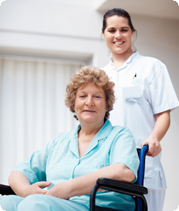 If you have an Elderly or Senior loved one who has suffered a brain injury and is back from an acute rehabilitation center, the homecare professionals at A-1 Home Care can help your loved one as they regain functionality and get used to their daily living routines. 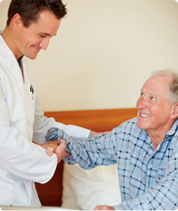 We can assist with personal care tasks such as hygiene management, meal preparation, medication reminders, daily errands, and any occupational therapy, physical therapy, or speech therapy exercises that are recommended by your loved one’s doctor or therapist. 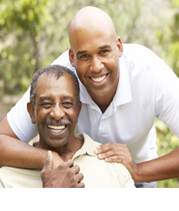 We also provide Brain Tumor caregivers who can provide experienced and compassionate personal care as your loved one is recovering from a tumor removal surgery, radiation therapy, or chemotherapy. All of our Brain Injury & Tumor caregivers, nurse aides, companions, and home helpers must have at least 2 years of prior at home caregiving experience, verifiable professional references, a National Background Check/DMV Check, Tuberculosis testing, Malpractice/Liability insurance, First Aid/CPR training, and a personal interview with our office staff. We serve the OC communities of Costa Mesa, Huntington Beach, Newport Beach, Fountain Valley, Irvine, Laguna Beach, Corona Del Mar, Tustin, Garden Grove, Seal Beach, Los Alamitos, Villa Park, Buena Park, La Mirada, Yorba Linda, Fullerton, Anaheim Hills, and others in Orange County.